You’re in charge of getting a bunch of adults to break the ice — and just the thought makes you break a sweat. Let’s face it: Adults aren’t always great at making friends with each other. Thankfully, this fresh list of adult icebreakers will help you navigate both formal class settings and informal social functions. Simply choose the effort level and idea that works best for your crew. Conversation Starters - Pose a silly question to each person in the group: Favorite candy as a child? What did you want to be when you grew up? Favorite “guilty pleasure” TV Show? For informal social functions, write the answer on your nametag or on an index card taped to your shirt. Genius tip: See more “professional” conversation starters here. Favorite App - Get out your phones and show your favorite “unique” app to the group. Excluded: weather, news, messaging and email. For Millennials Only - Read out your most recent social media post. Think Fast! - Each person writes down 10 adjectives about herself in 30 seconds. Go around the room and read them aloud rapid-fire. Ask Siri – Get out your phones and research an answer to a question that has crossed your mind lately. Read the question and “search results” out loud. Examples: How much is a 2016 Corvette? Who won the Super Bowl last year? What happened in the season finale of ___? Memory Name Game – Each person says his first name with an adjective in front of it. At the end of the intros, ask a few brave souls to go around the room and attempt to remember each person’s adjective-name combo. Example: Energetic Emily, Celestial Celeste. Seasonal Intro – As people introduce themselves, ask if they prefer summer, spring, fall or winter — and why. The answer is a window into the human psyche. Quirky Talent – Channel your inner 9-year-old self. People say their names and fill in the blank to the following sentence: “I am an expert _________.” It’s funnier if you encourage them to say quirky talents. Example: I am an expert speed speller, typist, candy bar eater, cartoon picture doodler, video gamer, casserole baker, parallel parker, dog pooper-scooper, cat whisperer. Variation for a social function: Write it under their name on a nametag or on an index card taped to their shirt. 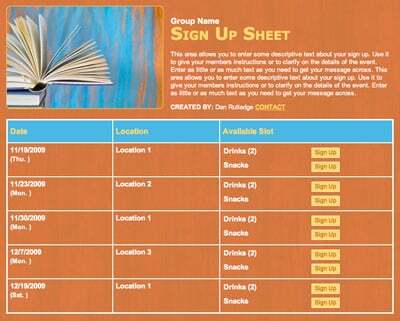 Host a progressive dinner with an online sign up! SAMPLE. Elf Name – Search for an “Elf Nickname” site or app that allows you to generate elf names by theme, surname, etc. As people sign in and introduce themselves, generate their silly “elf name” and read it aloud or put it on a nametag. 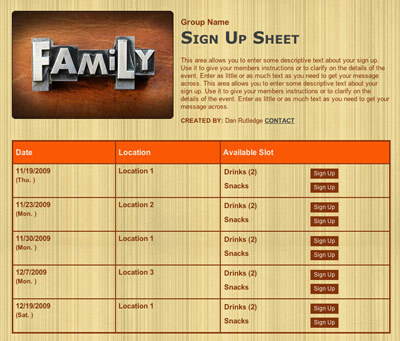 Silly Quiz - Take a silly online quiz and share your outcome or put it on your nametag. Examples: Which Harry Potter wizarding house are you? Which Walking Dead character are you? Which Divergent group are you? Pick a Side – Inspired from popular apps like “This or That” or “Would You Rather,” come up with a list of personal preference choices suited to your group. Examples: pie or cake, sales or customer support, extrovert or introvert, white Christmas lights or multi-colored Christmas lights, Saturday night or Sunday morning, kindergarteners or high school students. Put everyone in the center of the room and point to a different side of the room as you announce each choice. Folks move back and forth across the room, based on their personal preferences. Allow time for chatting and mingling. It’s a Pie Chart Life – Have each person draw a pie chart of her life, with percentages of time spent on things. This doesn’t have to be exact. Example: 10% sleeping, 50% working, 5% eating, 25% family, 5% self-care, 5% watching football. Now flip over the paper and draw a pie chart of how you WANT to spend your life. Ask everyone to share one side with the class. Don’t Say that Word - Give each group member a single beaded necklace, lei or sticker upon entering the room. Explain that a particular word, such as “yes,” or “no,” is forbidden. When you hear another person say the word, you can claim the person’s necklace/lei/sticker. The idea is for one person to collect as many as he can. Who Am I - Write famous names on index cards and tape one to each person’s back, reminding them not to look. Mill about the room and ask yes or no questions to figure out who you are. Names can be Biblical, celebrities or local personalities. Variation for a singles function or dinner party: put ½ of a famous couple on each index card. Everyone needs to find his match. Interview Game – Assign pairs, and spend five minutes questioning and composing a brief introduction about each other. After five minutes, pairs introduce each other to the group. Minute-to-Win-It – Research online and find an age-appropriate Minute-to-Win-It game. Adults can get pretty competitive! Get Your Groove On – Turn on a “Dance Moves” or Rock Band video game, karaoke or host a lip sync battle. Get to know your co-workers with a tailgate lunch! SAMPLE. Awkward Family Photo – Inspired by the “Awkward Family Photo” website, email everyone ahead of time and ask them to bring a funny photo or baby picture. Hang them up on the board or on a poster as people arrive, with names underneath. Vote on the funniest one, and that person gets a prize for not only being brave but also for remembering to bring the picture! Beach Volleyball – Using a Sharpie, write numbers on different colors of a beach ball. Assign a certain question to a number, such as 1.) Are you a dog or a cat person; 2.) Would you rather go on a vacation or have a stay-cation; 3.) What is your favorite dessert? Put everyone in a circle and toss the ball. The question that must be answered is the one that corresponds to the location of your thumb when you make the catch. Variation: Do this as a review game, if your event is educational. Personal Scavenger Hunt – Write three qualities or life accomplishments on sheets of paper, making them all different. Distribute one to each person. Everyone has to mingle and put someone’s name by each of the three items. Example: 1.) This person is going to use their passport within the next six months. 2.) This person is a New York Giants fan. 3.) This person would rather read a book than go out for the evening. Share results. Tic-Tac Toe Trivia – Compose a list of 10 to 15 themed trivia questions. Divide the group into two teams. As a question is asked, each team provides an agreed-upon answer. If correct, they put an X or an O on the Tic-Tac Toe board. If incorrect, the question is posed to the other team. Crossword puzzle – Using a large piece of paper, whiteboard or smart board, spontaneously come up with a crossword puzzle of everyone’s first name. The “questions” for the crossword puzzle are specific to each person. Example 1.) Across – Has four children. 2.) Across – From Alaska. Erase answers and spend five minutes at the end, filling it back in. Paper Airplane - Each person writes a quick, anonymous intro on a piece of paper. Walk everyone through making a paper airplane out of the paper, then throw the airplanes across the room. Folks go pick up an airplane (not their own) and read the intro to the class. Everyone has to guess who it is. For adult icebreakers, choose wisely: consider whether the group is acquainted already, personality tendencies and how much time you can designate to the exercises. And remember: have fun with it! 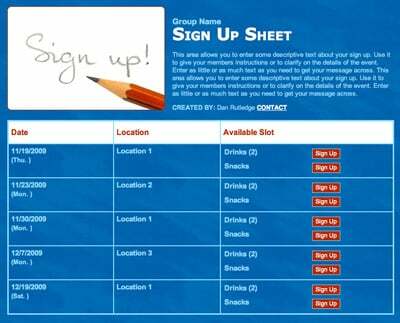 Plan a class reunion with SignUpGenius!